Home / Music / Country / Country Gold Radio Show’s New Host–Terri Clark! 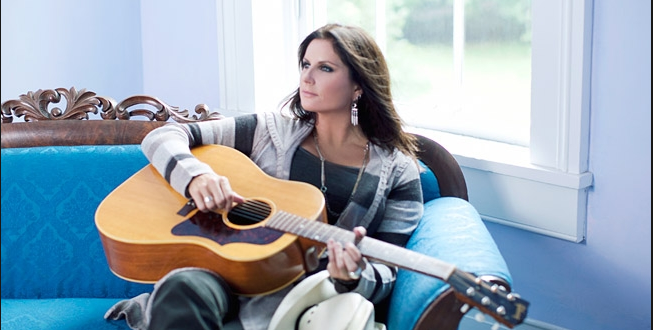 Westwood One’s Country Gold radio show has a new host — Terri Clark. Currently hosted by Randy Owen (Alabama) the past 4 years. The show’s primary focus is on “classic country music from the ’90s”…and Terri Clark is definitely a very successful country singer who’s notoriety started in the 90’s of classic country…with songs like “Better Things To Do”& “When Boy Meets Girl” (1995), “Now That I Found You”(1998), “Poor, Poor Pitiful Me” (1996), and “Girls Lie Too” & “You’re Easy On The Eyes”, … just to name a few. As an eight-time CCMA (Canadian Country Music Association) Entertainer of the Year recipient and recent co-host for America’s Morning Show….the new host position will definitely highlight Terri’s strong presence as a very talented artist and allow her to keep connecting with fans through radio stations throughout the United States! In Terr’s words, “While I am out on the road performing, I can see how much people still love the music of the ’90s,” she says in an official statement. “It is extremely exciting to be able to showcase the music and artists that make up a huge part of the landscape of our lives. Country music is about real people, real life, and real stories, and some of the best was recorded during the era we will feature on this show.” The Show is a four hour weekly broadcast and highlights classic country music hits from the ’90s and you will be able to here Terri beginnig April 9th and 10th. Listen below to a couple of Terri’s classic hits!